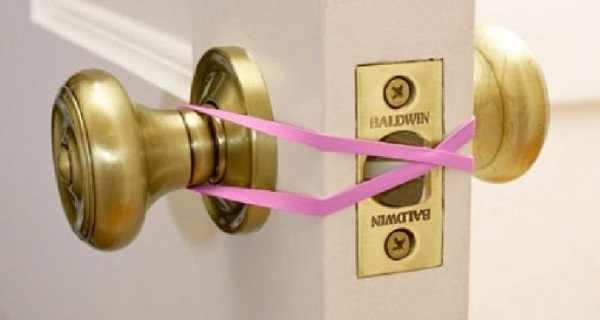 You can keep the doors from closing because of a draft by placing several rubber bands like in the image below. 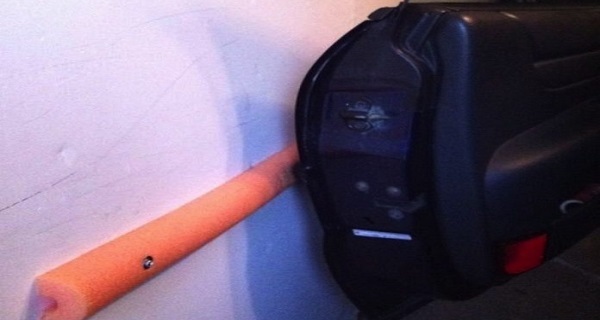 When opening a car, you can avoid damaging the walls in the garage by putting a soft tab on the walls in front of the car. 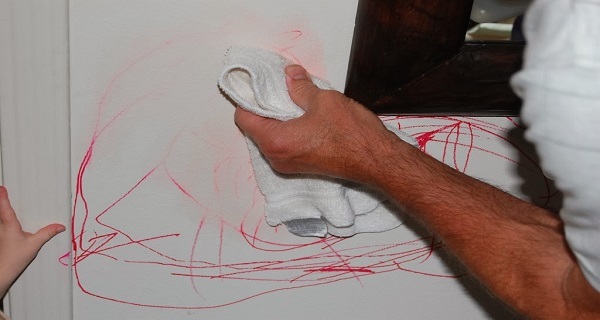 You should use KH7 or other degreasing products in order to eliminate your child’s paintings from the walls as well as many other surfaces. 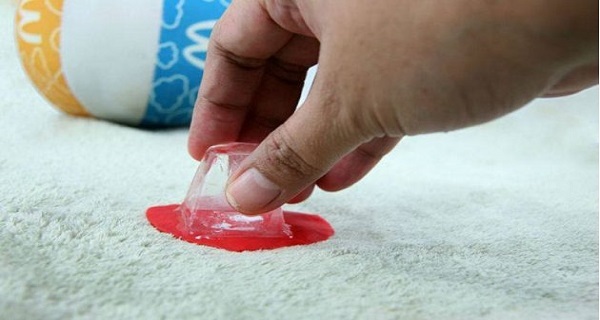 In case you notice a gum stuck on the carpet, then you can easily eliminate it thanks to this simple trick. All you need to do is put an ice cube over it. Allow it to act until the gum freezes. 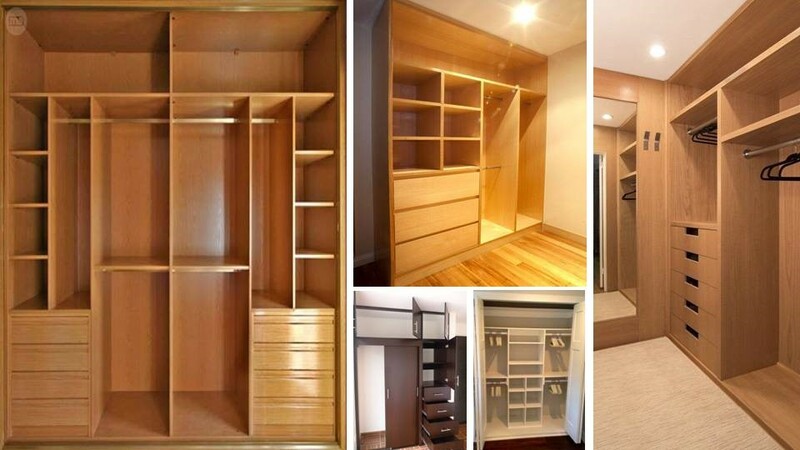 There is no doubt that it will help you get rid of the gum easily. 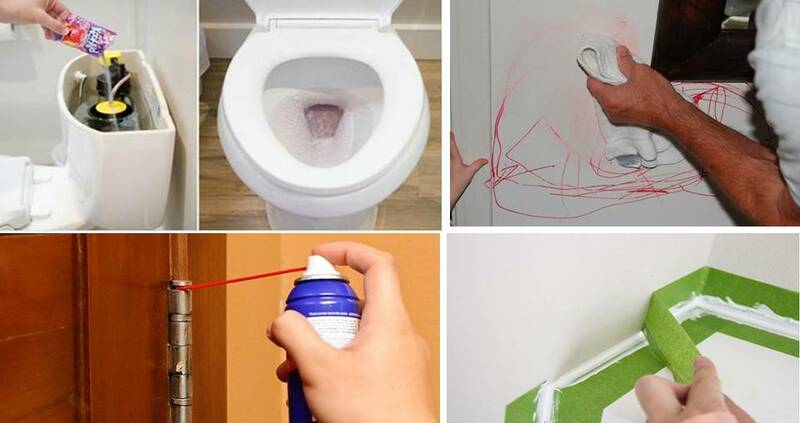 In case you notice nail holes in the walls, you can fill them by rubbing a bar of soap on them. 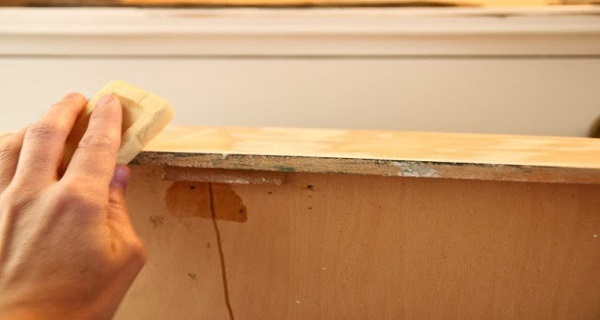 You can restore the glow of the furniture by using a bar of soap to rub it. 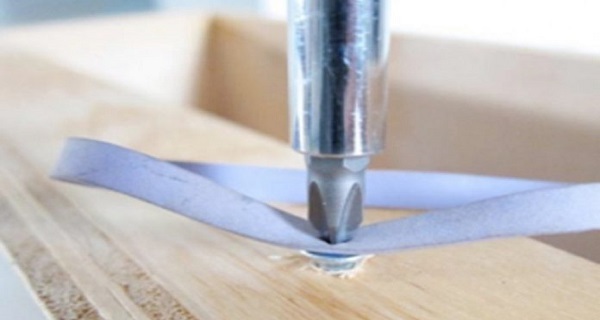 You can prevent a screw from moving around while screwing it down by putting a rubber band in it. 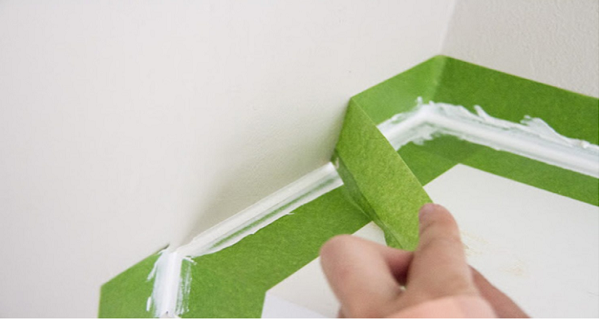 You can keep tape bands on the walls by using silicone while painting the walls to keep the paint from spreading. 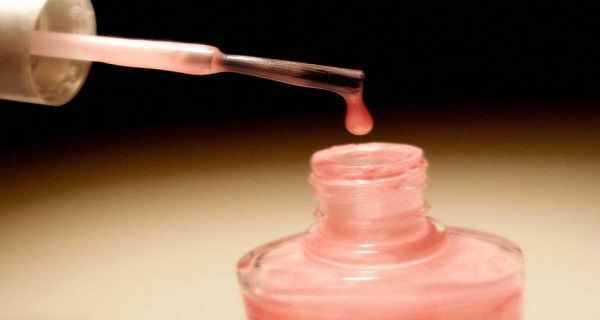 You can put the screws in some nail polish to let them penetrate the hole easily. 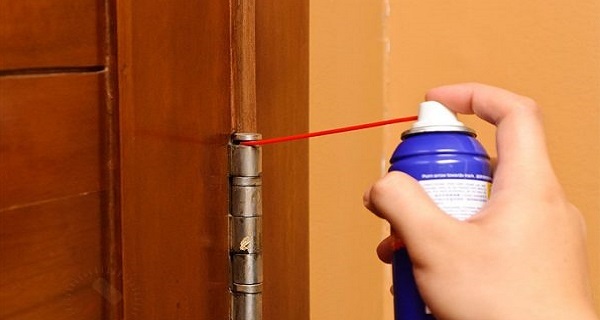 You can spray machine oil in the hinges to keep the door from squeaking.